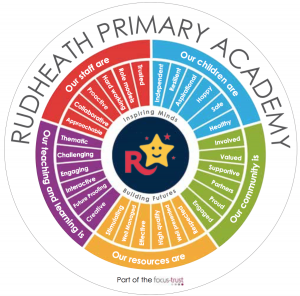 At Rudheath we are committed to a vision of inspiring minds, building futures. We have a strong belief that everyone – pupils, staff, governors and community – should work together for the best possible outcomes for all children. 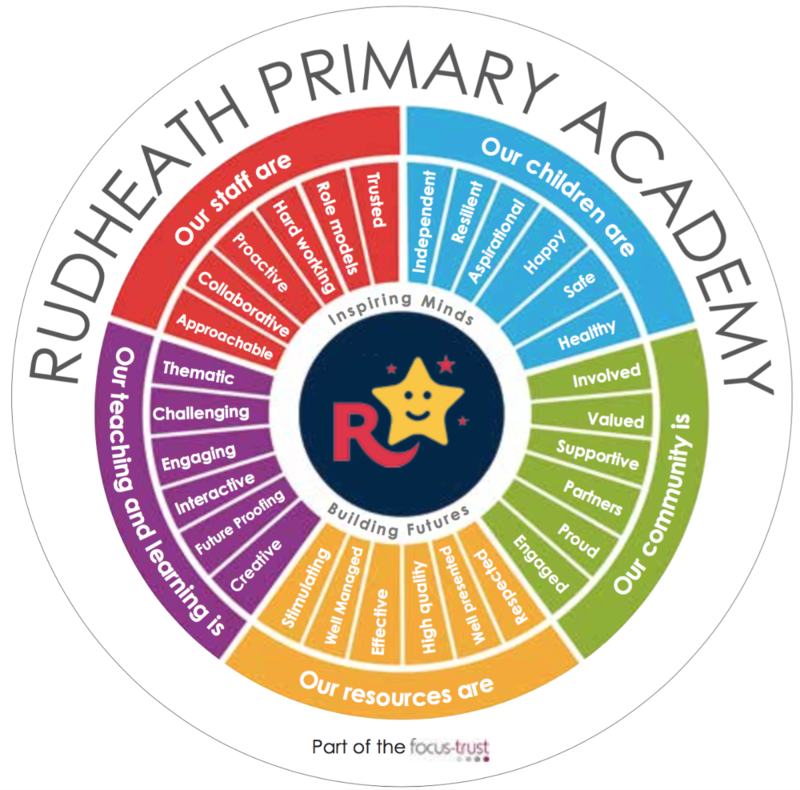 Our “Inspiring Minds, Building Futures” wheel replaces our old vision and values and was a created through an initial meeting in January 2016 and further feedback from parents and other stakeholders in February. Thank you all so much for your comments. I hope that you agree that our wheel is a true representation of what our school is and will continue to be. We have decided to go with a wheel because all of the spokes (staff, children, community, resources and teaching and learning) need to work together to Inspire the Minds and Build the Futures of our children.